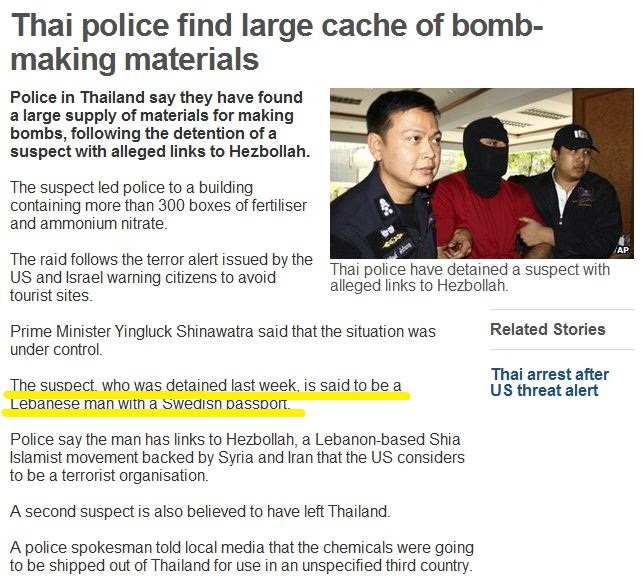 THAI POLICE ARREST LEBANESE HEZNAZI WITH SWEDISH PASSPORT IN CONNECTION WITH BOMB MAKING MATERIALS……. – The Tundra Tabloids……. THAI POLICE ARREST LEBANESE HEZNAZI WITH SWEDISH PASSPORT IN CONNECTION WITH BOMB MAKING MATERIALS……. The New Vikings strike again. Previous Post Previous Post PAUL WESTON: HOW TO DESTROY A COUNTRY……..